How are Ofcom planning to deal with rip off 070 premium numbers? New legislation is in the pipeline to deal with the problem posed by 070 premium numbers. Before we explain what changes Ofcom is planning to implement, we detail how these numbers work and what they are most commonly used for. We then explain why they represent a twofold problem for consumers. Until these new measures become effective in a year, is there anything that consumers can do to avoid high phone bills? How do 070 premium numbers work? Premium numbers are created as a ‘Follow Me’ service which redirects a call to another (hidden) number. The communications provider pays a wholesale termination charge to the service provider to reach the recipient. This cost is then recovered by the service provider who charges the caller a retail price. This price varies from company to company, but is in the region of 49p-83p per minute from a land-line and 45p-£1.50 per minute from a mobile phone. 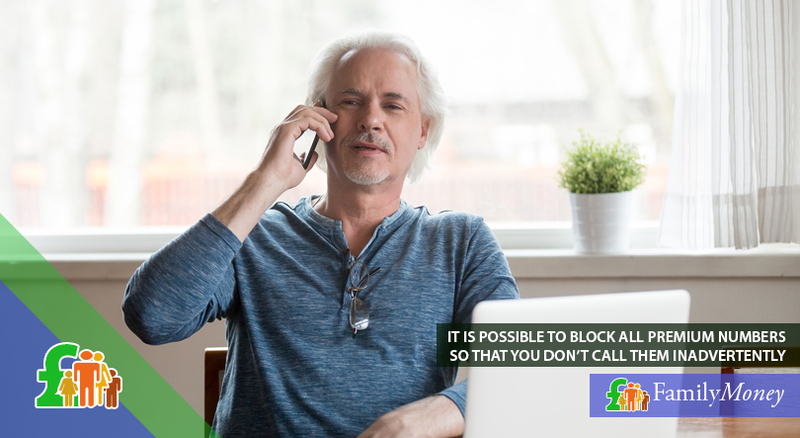 Sometimes companies also impose a separate call set-up fee of around 50p for each call. Who uses 070 premium numbers? Premium numbers like 070 are used by legitimate companies. They are often used by sole traders and small businesses as a convenient way to handle their calls. Hospedia (the hospital communications and entertainment unit provider) also use these numbers for bedside phones. Although patients aren’t charged to make outgoing calls, their friends/family will pay extra to call them using these numbers. People who place classified ads often prefer to use a premium number as it protects their privacy. Unfortunately, the anonymity offered by a premium number service also makes them the ideal tool for scammers. How does this work? How can 070 numbers be used by fraudsters? Criminals have been quick to spot the cash-making opportunities offered by the use of 070 premium numbers. 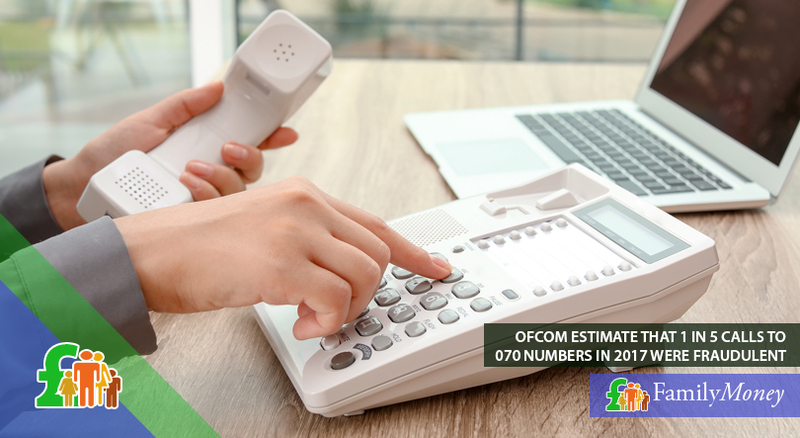 Ofcom estimate that 1 in 5 calls of the 2.6 million made from/to these numbers in 2017 concerned fraudulent activities. Some scammers use the fact that their number can’t be traced to commit identity fraud which makes their true identity difficult to trace and impossible for service providers to recover charges from them. Other conmen advertise fraudulent jobs with a 070 number to encourage applicants to call them. Some might call up some mobile numbers at random and ring off before the call can be answered. 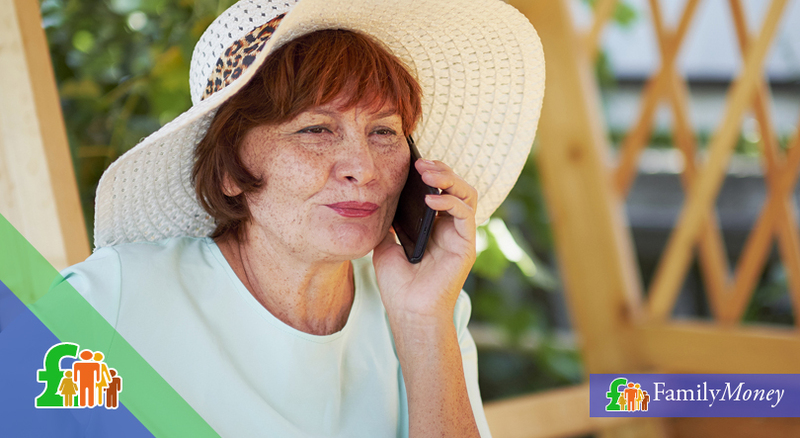 As a result, many recipients see a missed call and phone back without realising it is a premium number. Finally, fraudsters take advantage of the similarity between the 070 premium number and the 07 prefix for mobiles to defraud telecommunication firms based abroad. If they’re unaware of the difference between these two prefixes, they might charge the cheaper mobile rate to users who can then pocket the difference. Why are 070 numbers a problem for consumers? Apart from the very real danger of being scammed, 070 premium numbers are more worrying for consumers for another reason. Many consumers are on their guard about the high cost of premium numbers and are aware of what numbers to avoid. However, the similarity of the 070 premium number to the mobile 07 suffix can also trick consumers who unwittingly call the number and only realise their mistake when they receive an alarmingly high phone bill. How will Ofcom’s price cap work for 070 numbers? After a consultation period which lasted until February 2018, Ofcom analysed the data and contributions from different concerned parties to draw up changes. Their first change is that the prices of 070 calls must be brought down to keep them in line with other phone charges. The communications watchdog has given companies an implementation period of 12 months, and so the price cap won’t come into effect until October 2019. In order to achieve this goal, they have specified that 070 calls will be capped. No provider will be able to charge phone companies more than 39p a minute, and this fall in wholesale price will then be passed on to their customers. Ofcom predicts another result of this price cap will be that phone providers are more likely to include these calls in fixed monthly call allowances or in minute bundles. This measure will save consumers millions of pounds as they won’t be charged for these calls separately. The communications watchdog has given companies an implementation period of 12 months, and so the price cap won’t come into effect until October 2019. In this interim period, companies are expected to prepare for the change by contacting their customers, changing the way they bill for such calls and perhaps switch to another call prefix for premium numbers. Although this means that premium numbers won’t disappear completely, at least customers will be more familiar with other premium phone number prefixes and won’t mistake them for a mobile number. Until the price cap comes into effect, you can protect yourself from accidentally calling extortionately-priced premium numbers. Firstly, before pressing re-dial, you should always check which number you are calling and always be careful when phoning back after missed calls. Another layer of protection from all premium numbers (and not just 070 numbers) is to contact your phone provider. It is possible to have all such numbers blocked from your phone so that you don’t call or text them inadvertently. With their high charges, just one call to a premium number can easily inflate your phone bill. This measure by the communications watchdog will do a lot to ensure that consumers are fairly charged and can make well-informed decisions about whether to call a premium rate number or not.